In the instrumental food chain, the five-string banjo is one of the more dominant beasts: loud, brash and very hard to tame. In 1945, Earl Scruggs made the biggest leap in harnessing its raw power, bringing a revolutionary precision of touch and depth of tone. Thousands of three-finger style banjo players have since made their marks, but none has cut such a path or moved so far along it as has Alison Brown. She’s acclaimed as one of today’s finest progressive banjo players, but you rarely find her in a conventional bluegrass setting. Instead, she’s known for leading an ensemble that successfully marries a broad array of roots-influenced music: folk, jazz, Celtic and Latin. 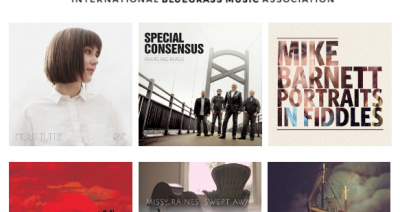 With her new Compass project, The Song of the Banjo, the 2015 IBMA Distinguished Achievement Award and 2001 GRAMMY Award-winning musician/composer/producer/entrepreneur plants another flag in her ongoing journey of sonic exploration. 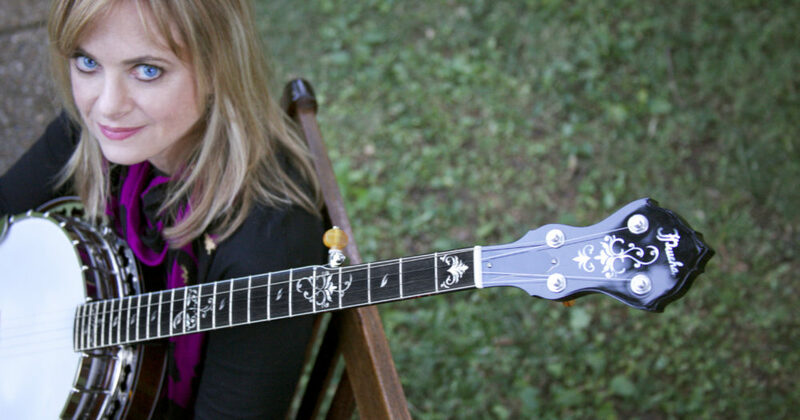 Although banjos typically play “tunes” or “breakdowns,” in Alison Brown’s hands, the banjo truly sings. Part of that is the modifications she’s made to her signature model Prucha 5-string, muting the usual harsher overtones and extraneous noises, emphasizing the sweetness and melodicism. But mostly, it’s her unique musical vision. Brown never wastes a note, never launching into banjo tsunamis just because she can; stopping her precision three finger roll to leave space for a lyric or other instrumental voice when appropriate. Don’t mistake it, there is plenty of jaw-dropping virtuosity on The Song of the Banjo, but it’s always in service to the melody at hand. The great tenor saxophonist Lester Young had to know the lyrics before he played a song, even as an instrumental. Like him, Brown always plays the words as well as the melody. She and Compass co-founder, husband and bassist Garry West have assembled an all-star cast, including some of Nashville’s most adventurous session players, as well as special guests Indigo Girls, Keb’ Mo’, label mate Colin Hay, ukulele virtuoso Jake Shimabukuro, legendary drummer Steve Gadd, fiddler Stuart Duncan, resophonic guitarist Rob Ickes, upright bassist Todd Philips and, on guitar and bouzouki, Irish phenom John Doyle. Duncan and Brown came up together in the Southern California bluegrass scene, and Ickes was close behind them in the Northern part of the State, but (even though she can “lay the thumb to the five” with the best of them), Brown’s inner bluegrass girl wasn’t invited to this party. 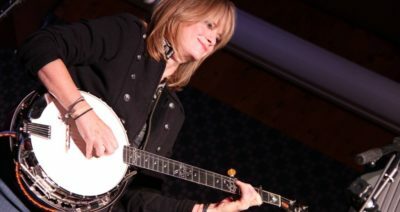 Of the 12 tracks on The Song of the Banjo, seven are Brown originals, including the melodic, pop-flavored title piece that opens the set, as well the gravity-defying piano/banjo duet, “Musette for the Last Fret.” Then there are her trademark compositions written in Cinemascope – grandly sweeping melodies like “Long Time Gone” and the Celtic-tinged “Airish.” “The Moon in Molly’s Eyes” brings in bossa nova, with lush strings by Andrea Zonn. “Stuff Happens,” written by Brown and West, turned into an accidental tribute to Gadd’s old band of studio aces, Stuff, which set the bar for ‘70s pop-funk-jazz fusion. “I imagined the tune to be a cross between “White Freightliner” and “Freedom Jazz Dance”, but when Steve kicked off the groove on our first run-through I couldn’t help but think about Cornell Dupree – always one of my favorite guitarists – and be reminded of Stuff.” Paul Simon drummer/guitarist Jim Oblon brings some NYC blues-inspired guitar to the celebration. One of the album’s covers actually had a banjo on the original. Michael Martin Murphey’s “Carolina in the Pines” became a bluegrass standard in the ‘70s, but in Brown’s arrangement, the banjo riff goes to pianist Will Barrow, while her banjo evokes the cascading piano part. 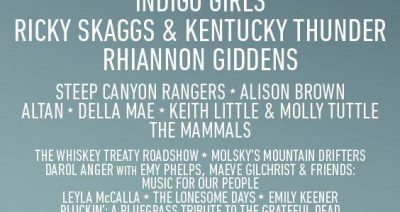 Another twist is that what had been a man’s song is beautifully sung by Indigo Girls’ Amy Ray and Emily Saliers. Keb’ Mo’s Americana-soul version of Marvin Gaye’s seminal “What’s Going On” is another unexpected pleasure. The bonus track, recorded after the album was finished and rush-released as a free-standing single, will be available on the CD’s Deluxe Edition. Along with Keb’s warm vocals, the song features instrumental sparks between Duncan and Brown, as well as an explosive piano solo by Joe Davidian. But it’s Brown’s understated backup and exploratory solo on low banjo that quietly steals the show. For those who came of age in the ‘70s and ‘80s, Brown’s re-invention of these familiar songs makes them sound brand new. For younger listeners hearing them for the first time, her versions may well set the new standard. That’s all part of the alternative banjo universe that Alison Brown occupies so beautifully on The Song of the Banjo, reaching into the past as she looks to the future, creating an album for people who didn’t know how much they liked the banjo, while giving banjo fans new reasons to love the instrument. For one answer to that question, look no further than The Song of the Banjo.